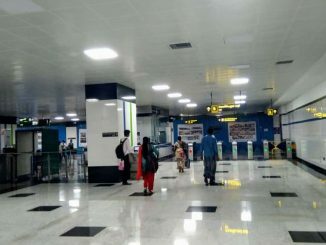 Chennai Metro Rail stations wear a festive look now, with citizens from all quarters and strata of society thronging the various stations of the city. Happy faces of citizens and positive feedback accompany the never-before- seen crowds at the various Metrorail stations. “It is an engineering marvel. The train entering and exiting the tunnel is really awesome at Saidapet Bridge with River Adyar in the background. The stations are compact and well made”, said C R Balaji, a citizen activist. 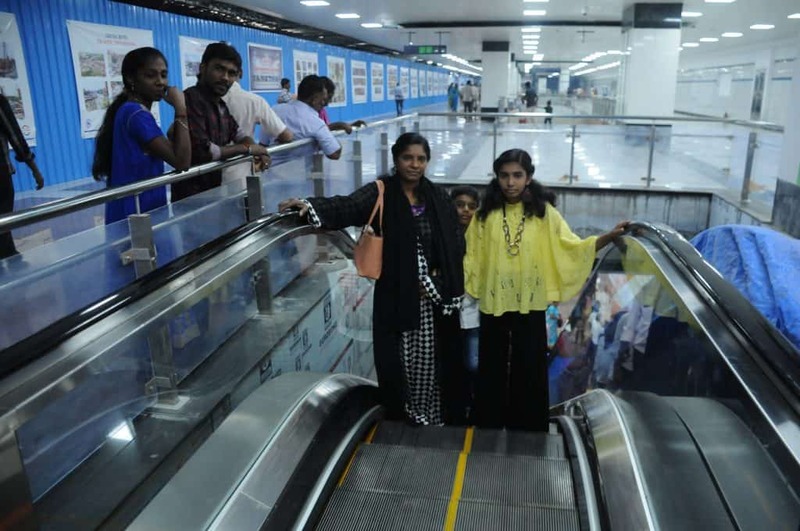 Thanks to Chennai Metro Rail Limited (CMRL)’s decision to offer free rides, to celebrate the inauguration of the two stretches – Nehru Park to Chennai Central and Saidapet to AG-DMS – the footfalls went up almost sixfold last week. A total of 4,67,538 citizens have commuted from the afternoon of 25 May (after inauguration) till the end of 28 May. But the million dollar question is – will this result in better adoption by citizens, once the free ride period is over? The statistics don’t add up. According to statistics obtained from the CMRL office, a total of 1,12,520 citizens commuted in all lines (of 35km) on Monday (28 May). “In half a day on 25 May, around 50,000 people utilised the facility, while the number rose to 1,20,500 on 26 May. The count reached 1,84,518 and 1,12,520 on 27th and 28 May respectively,” said a spokesperson of CMRL. Before May 25, CMRL, on an average had only 30,000 commuters per day (for the stretch of 24 km), which is just 10 percent of its capacity. 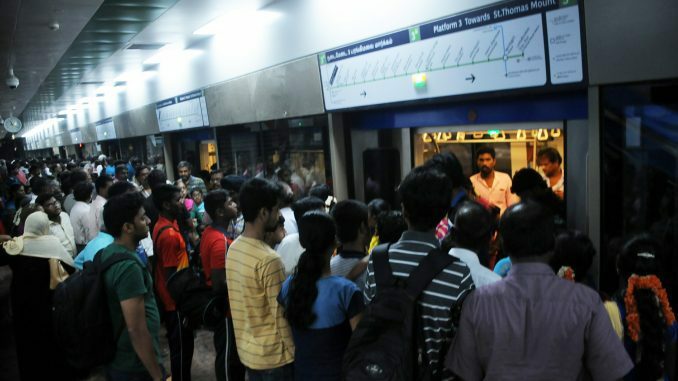 The official admitted that a majority of the commuters had taken Chennai Metro for the first time, thanks to the free ride. CMRL had earlier announced free trips for just a day, during the inauguration of the stretches in phase 1, this time the company offered five days of free rides! However, experts, who have been monitoring the policies of CMRL, say that the strategy will not lead to greater utilisation, unless CMRL reduces the fare not be profitable. The new maximum fare, applicable for a ride from Chennai Central to Chennai Airport is Rs 70, after the inauguration, against the earlier highest price of Rs 40. “By increasing the price to Rs 70, CMRL has brought in a class divide. Chennai Metro would only cater to the needs of the elite and upper middle class, without considering the plight of the poor. It is difficult for an office goer to spend Rs 140 for a daily commute, and impossible for a daily labourer. Metro will close its doors to the poor,” said V Ramarao of The Traffic and Transportation Forum. Activists say that the majority of commuters in the past five days belong to the lower income groups, who are not likely to be not be regular commuters of CMRL. 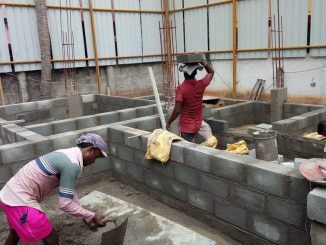 “There were casual labourers, masons and electricians, apart from the office going population, who have been travelling in the metro for the past five days. The probability of them switching their transportation mode from low cost MTC bus (or suburban rail and share autos) to a metro, is very low,” added V Ramarao. “The free ride policy is designed to get the lower middle class people accustomed to the comforts of metrorail. It is a marketing strategy, just like the app-based cabs changed the commuting ways of Chennaiites. Just as the cabs like Ola and Uber started their business with cheap fares to attract citizens, CMRL is counting on free rides. Once the commuter’s habit is established, they will be somewhat impervious to price increases,” said Arjun Nagu, a business development manager of a private firm. In the meantime, citizens from across Chennai are complaining and campaigning against CMRL’s increased fares. In an analysis conducted by Traffic and Transportation Forum, a not-for-profit organisation, it was found that Chennai’s metro fares are far higher than that of Kolkata and Delhi. While Delhi Metro charges Rs 60 for more than 32 kms, Chennai Metro charges that amount for just 21 kms. Kolkata Metro is the cheapest, as it charges Rs 25 for 30 Kms, the chart prepared by the forum shows. CMRL is no stranger to criticism of its high fares. Managing Director Pankaj Kumar Bansal has, in many public discussions, attributed it to high operational costs, compared to other metros in the country that were constructed earlier. But citizens are not buying this argument. “The daily footfalls of Kolkata Metro and Delhi Metro are around 7 lakh and 27 lakh respectively. It is simple economics that increase in commuters would give profits. Isn’t the operational cost same whether the metro carries 10 % or 100 % of its capacity?” the forum asked in a statement. As per original estimates by CMRL, the facility was expected to carry 3 lakh passengers everyday by 2016. So far, only about 10% of the capacity is being used. Each run has a capacity of 1200, spread over 4 cars. “Why not decrease the fare so that more people would opt to take the train,” questioned V Subramani of the forum. He said majority of commuters prefer the cheapest mode of transportation, and are willing to bear the hardships that come with it, such as pollution and traffic snarls. The Traffic and Transportation Forum has conducted a mass signature campaign and collected 2,400 signatures demanding a reduction in the ticket fare. 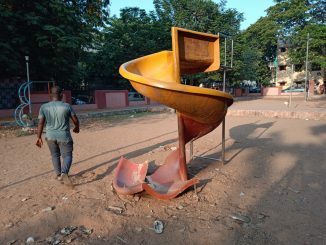 Is Chennai Metro listening?